The Department of Canadian Heritage has launched a review of the federal government’s cultural policy toolkit that could bring significant changes to the governance framework that underpins the broadcasting, media and cultural industries. Announced this past weekend by Heritage Minister Mélanie Joly, the review is a response to the digital shift that is transforming the creative sector. The stated goal of the review is to ensure that Canadian content is positioned to succeed in an increasingly global marketplace which, as stakeholders well know, has been buffeted by the rapid evolution of new technologies that have changed the ways content is created and consumed. Minister Joly made it clear in an interview with the Globe and Mail that each of the main governance levers – laws, policies, institutions and programs – will be evaluated. She told the Globe that she believes “the current model is broken, and we need to have a conversation to bring it up to date” and that “everything is on the table”. Changes in consumer expectations driven by increased digital connectivity and mobility. The consensus from the commentariat is that the review will be the most comprehensive re-evaluation of the industry since the Mulroney government revised the Broadcasting Act in 1991. Content producers and other stakeholders should note that an online “pre-consultation questionnaire” can be accessed on the ministry’s website until May 20, 2016. The pre-consultation will help define the scope of the public consultation which will begin this summer and wrap up by the end of the year. An expert advisory group will be struck to shepherd the review, which is officially called Strengthening Canadian Content Creation, Discovery and Export in a Digital World. Bell has agreed to pay an administrative monetary penalty of $1.25 million and has committed to enhance its corporate compliance program. The company also proposes to host a workshop to promote “Canadians’ trust in the digital economy”, including online review integrity. The Canadian Competition Act contains criminal and civil prohibitions against materially false or misleading representations. The general impression conveyed by the review, rating, tweet, post or other representation is a key element of determining whether it is misleading. As part of its education, outreach and enforcement programs, the Bureau recently devoted its first edition of The Deceptive Marketing Practices Digest to online advertising, with a focus on online reviews. The Bureau made a point of noting that “astroturfing is a problem that crosses borders” and highlighting its “excellent working relationship” with its international partners, including the US Federal Trade Commission. In yesterday’s announcement, the Bureau invited consumers who believe that they have been misled by fake online reviews to call the Bureau’s Information Centre or to file a complaint on its website. The recent activity and statements around online reviews make it very timely to revisit (or develop) internal compliance policies. These can include examples of acceptable and unacceptable practices for reviews and ratings, endorsements, disclaimers, and special promotions such as sponsorships and contests. The Canadian Radio-television and Telecommunications Commission (CRTC) has issued its fourth “Let’s Talk TV” policy decision on the regulation of the Canadian television system. Today’s decision is A World of Choice – A roadmap to maximize choice for TV viewers and to foster a healthy, dynamic TV market. The new roadmap affects the “basic” TV service Canadian subscribers receive, and adds new options for subscribers to choose additional services on a pick-and-pay or a la carte basis. We wrote last week about the CRTC’s new regulatory measures geared to creating and showcasing Canadian content, set out in its policy decision The Way Forward – Creating Compelling and Diverse Canadian Programming. Many of those decisions are geared to industry-based expenditure and exhibition requirements, and will have an indirect or gradual impact on viewers’ TV experience. By comparison, today’s decisions take direct aim at viewer choice. the community channel and the proceedings of the provincial legislature (if offered). The basic package may also include other Canadian OTA stations in markets where fewer than 10 local or regional stations are available; local radio stations; an out-of-province designated educational service, and a set of “US 4+1 signals” (NBC, CBS, ABC, Fox and PBS). BDUs may not offer any other services in the basic package. Moreover, the basic package must now be priced at or below $25. The CRTC had de-regulated the basic package in 1997, stating at that time that deregulation represented “a fundamental change” for subscribers from a “20-year regulatory regime with Commission scrutiny” of basic service rates to a regime driven by market forces only. With today’s decision, the Canadian regime is back under Commission control, to further its policy of consumer control. In 2013, the Governor in Council (Cabinet) issued an Order in Council to the CRTC to report on how to maximize pick-and-pay in Canada. In response, the CRTC observed that Canadians were getting “a more customized viewing experience” from online platforms, and considered how mandating increased choice and flexibility for television would potentially impact cable and satellite operators, broadcasters, and the production industry. In today’s decision, the CRTC has taken the position that “it must take positive steps to bring about greater choice and flexibility in the Canadian television system”. By March 2016, all licensed broadcast distributors (BDUs) must offer all discretionary services – meaning those not in the basic service – either on a pick-and-pay basis or in small, “reasonably priced” packages. These packages may be set by the BDU or by the subscriber. By December 2016, all licensed BDUs must offer all discretionary services on both a pick-and-pay basis and in small packages. The CRTC noted the risk this “unbundling” poses to the Canadian system and the survival of some Canadian services; its greater concern was the risk it saw in “maintaining the status quo in a context of increased demand for more choice”. While the Commission entitled its decision “A World of Choice”, the Commission has not changed the process for authorizing the entry of non-Canadian services. The current List of non-programming services authorized for distribution (the List) includes a range of U.S. and other foreign services, including channels such as A&E, AMC, and MSNBC. The Commission has authorized services on a case-by-case basis, permitting Canadian services to object to the addition of a new non-Canadian channel on the basis that it will unfairly overlap and compete with its own genre and nature of service. The Commission will continue to authorize only those non-Canadian services that do not compete with Canadian specialty or pay services. However, the CRTC is bringing the distribution of non-Canadian services in line with the rules set out in today’s policy regarding consumer choice. As a condition of authorization – for existing services to remain on the List, and for new services applying to be added – the service must be offered on the basis of pick-and-pay and small packages. The CRTC has said that “it expects non-Canadian services, as good corporate citizens, to continue to abide by the applicable rules …if they wish to continue to have their programming services available in Canada”. In 2011, largely in response to what it considered to be imbalances in the wholesale marketplace brought about by “vertical integration” in the industry, the CRTC put in place a new regulatory framework for the commercial arrangements between BDUs, broadcasters, and digital media undertakings. While the 2011 Code was originally drafted with certain mandatory requirements, the CRTC issued a correction to change various instances of “shall” to “should”. Subsequently the CRTC applied elements of the Code to some licensees as a condition of licence. Today, the CRTC not only effectively put the “shall” back into the Code for the industry as a whole, stating that it will be a regulatory requirement, not a guideline, for all licensed undertakings. The CRTC also indicated that the Code will be expanded to include a number of additional prohibitions and mandatory requirements. These are intended to ensure that the terms of wholesale agreements do not undermine or hinder choice and flexibility in the retail market. New provisions, to enter into effect by September 2015, will target agreement terms that address packaging, service penetration and revenue guarantees, rate cards, and marketing. Today’s decision was the 4th of 5 arising from the CRTC’s Let’s Talk TV Proceeding. The final decision is expected next week, under the CRTC’s “Protect” banner: consumer protections, BDU Code of Conduct, industry ombudsman, and accessibility issues. The delayering includes eliminating the genre exclusivity that many Canadian services have relied on for years. This was no surprise, as the CRTC had previously announced its intention to review the policy and asked for comment not only whether to eliminate it, but also the “earliest feasible timeframe” to do so. By way of background, the Commission has in the past licensed must-carry “Category A” services – such as HGTV Canada, Bravo!, Sportsnet 360, and YTV – on a one-per-genre basis. Genre exclusivity is intended to prevent “head-to-head” competition for Category A services with each other, or with any other linear service in Canada. Category A services have been insulated at least in part from competition with other Canadian services (may-carry Category B services, and Category C news and sports services). The rules to authorize non-Canadian services for distribution in Canada have also prohibited “direct competition” with Canadian services as a condition of authorization. The “must carry” and the genre protection privileges for Category A services were designed in large part to ensure that the services achieved enough revenues to meet their Cancon and related programming obligations, and thereby maximize their contribution to the creation of Canadian programming. Genre exclusivity cannot be considered ‘smart regulation’. It has elements that make it internally contradicting, ambiguous, difficult to understand, costly to enforce, and it may possibly be just plain wrong-headed for today’s Canadian broadcast system. […] The CRTC is not required to ‘rely on market forces to the extent possible’ in its regulation and supervision of the Canadian broadcasting system. But in this instance there is much to be said for doing just that. the genre exclusivity policy is no longer needed to ensure programming diversity between services and [the CRTC] is therefore eliminating this policy. […] By eliminating this policy, the Commission is removing regulatory barriers so as to allow entry by new programming services, programming flexibility and greater domestic competition. Genre exclusivity will be retained only in the conditions of licence (COLs) for the so-called 9(1)(h) services that benefit from a CRTC mandatory distribution order. Such services include CBC News, The Weather Network, and the Aboriginal Peoples Television Network (APTN). Limited genre protections also remain for mainstream sports services. For all other Category A services, it remains to be seen how market forces of supply and demand will impact what has been a regulated and “exclusive” space. The Commission has significantly “delayered” or revised regulatory requirements in a number of other areas, summarized below. A new category of “hybrid” SVOD services will be exempt from licensing. These hybrid services would be available both over the closed facilities of a broadcasting distribution undertaking (BDU), and also delivered and accessed over the Internet. Such SVOD services would be able to offer exclusive content – just as exempt online-only services can do – as long as that content is available over the Internet to all Canadians without BDU subscriber authentication. The CRTC has issued a call for comments on revisions to the VOD exemption order and standard conditions of licence for VOD services. Comments are due April 27. Independent broadcasters may use up to 10% of the amount they invest in programs for marketing and promotion, including payments to other broadcasters for paid promos. Local availabilities, or “local avails”, are the two minutes per hour of reserved advertising time in non-Canadian specialty channels. Broadcast distributors in Canada contract with the non-Canadian channels to insert promotional materials in these avails. Under the current regulatory regime, 75% of this time is made available to Canadian broadcasters to promote their services, to promote the community channel, and for unpaid Canadian PSAs. 25% has been available to broadcast distributors for information on and promotions for distributors’ services. Going forward, at least 75% of local avails must be used to promote first-run, original Canadian programs. The remaining 25% can be used to promote Canadian channels and broadcast distribution services. Pilot project 1: CRTC will recognize adaptations of best-selling novels by Canadian authors as Canadian live-action drama and comedy productions. Pilot project 2: CRTC will recognize Canadian live-action drama and comedy productions with a budget of at least $2 million per hour as Canadian productions. In a 2007 policy decision, the CRTC encouraged the development of terms of trade agreements between broadcasters and independent producers. In the years following that decision, the CRTC imposed adherence to a terms of trade agreement with the Canadian Media Production Association (CMPA) as a condition of licence for large English-language TV groups, and for the CBC. The CRTC has now – to the surprise of many in the industry – stated that it will eliminate those conditions of licence effective April 29, 2016, stating that “it is no longer necessary for the Commission to intervene in this relationship by requiring adherence to terms of trade agreements”. In its policy shift from “quantity to quality”, the CRTC is eliminating the daytime quotas for Cancon for local TV stations; the quota for prime time remains at 50%. 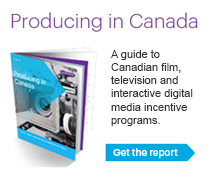 For specialty channels, 35% of all programs broadcast overall must be made by Canadians. This sweeps away varied levels from 15% to 85%, depending on the service, and does away with a specific quota for prime time. Industry stakeholders are to form a working group to develop an audience measurement system based on STB data. The group is to report back to the CRTC by June 10 on its progress on technical standards, privacy protections, a governance structure, and cost-sharing. Privacy protection issues have long been raised in this area as a key concern. The collection and sharing of viewer data has also received recent media coverage in the context of user commands to Smart TVs. STB data collection, use and disclosure proposals can be expected to be watched closely by the Office of the Privacy Commissioner of Canada. Existing and new Canadian news services will have to meet additional regulatory criteria. Going forward, they must broadcast an annual average of 16 hours per day, 7 days per week, of original programming. 95% of their programming must be drawn from specific news-oriented categories. They must also operate a live broadcast facility, and have news bureaus in at least 3 other regions. The Commission has called for comments on the proposed exemption order for hybrid VOD services, and will be amending regulations and conditions of licence in further proceedings, to implement today’s policy decisions. The Commission will also be issuing decisions on pick-and-pay (a la carte) programming and related issues in the coming days. 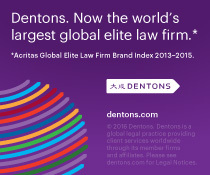 The National Entertainment Group at Dentons Canada LLP is hiring a Business Affairs Coordinator (to be located in either the Toronto or Vancouver office). The Coordinator will work with the members of the entertainment law team in, among other responsibilities, drafting production contracts, preparing funding applications, and closing financing transactions. Among the requirements for the position are 5-7 years experience in the entertainment industry (with a concentration in film or television). Legal training as a lawyer, paralegal or law clerk is an asset, but is not required.